Along with his parents, brother, and sister, Jim helped create Deer Crossing Camp—a summer camp designed to bring out the best qualities in young people with Mother Nature’s help. 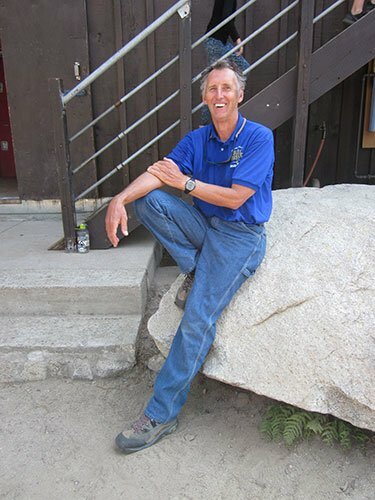 Jim has served as the Camp Director since camp was founded in 1983. He loves seeing campers light up when they tell him about getting to the top of a rock wall, turtle swimming in a kayak, or righting a sailboat after a practice capsize. During the non-camp season, Jim shares his discoveries in the areas of leadership and human performance enhancement through lectures, workshops, and writing. He makes over 120 presentations a year to K–12 students, parents, and teachers, as well as corporations and universities throughout northern California. For over a decade, Jim wrote a column on how to bring out the best in children and teens for Bay Area Parent; his column was honored three times by Northwestern University’s Medill School of Journalism award for best column in a parenting publication and was carried in other publications across the US and internationally. Jim has authored multiple books, including No More Nagging, Nitpicking, & Nudging: How to inspire & influence kids aged 10-18; Goal Express! The 5 secrets of goal-setting success; and Memory Smart: 9 memory skills every grade-schooler needs. Most recently, his interest in brain science led to the publication of Remember What You Read: How to memorize a book. “Deer Crossing is a wonderful adventure for me every summer,” says Jim. “I also seek out new adventures during the rest of the year.” He has been marooned on a deserted island, paraglided off volcanoes in Mexico, worked as a volunteer rescue ranger, climbed some of the world’s biggest mountains, kayaked through headhunter territory in Ecuador, tracked big game animals in Africa by horse and canoe, explored underwater caves in Mexico’s Yucatan Peninsula, purchased strings of camels to ride across the Thar (India) and Gobi (Mongolia) Deserts, and slept in trees in the Guatemalan rainforest. He’s also walked in the footsteps of Leonardo da Vinci in Italy in full costume!